WONDERFUL CAPE COD IN THE GRANBY HS DISTRICT THAT HAS BEEN BROUGHT BACK TO LIFE. THIS HOUSE HAS NEW REFINISHED HARDWOOD FLOORS, NEW KITCHEN CABINETS, S/S APPLIANCES, GRANITE COUNTERTOPS, NEW CARPET UPSTAIRS, NEW WINDOWS, NEW ROOF, NEW INTERIOR AND EXTERIOR PAINT, NEW CEILING FANS AND LIGHTS.THE HOUSE IS NOT IN A FLOOD ZONE. THERE IS A WONDERFUL SCREENED IN BACK PORCH OVERLOOKING A NICE LARGE FENCED IN YARD. ONE CAR ATTACHED GARAGE. BACKYARD SHED "AS IS"
Ready to visit 160 Haven Drive? Request a free property tour! 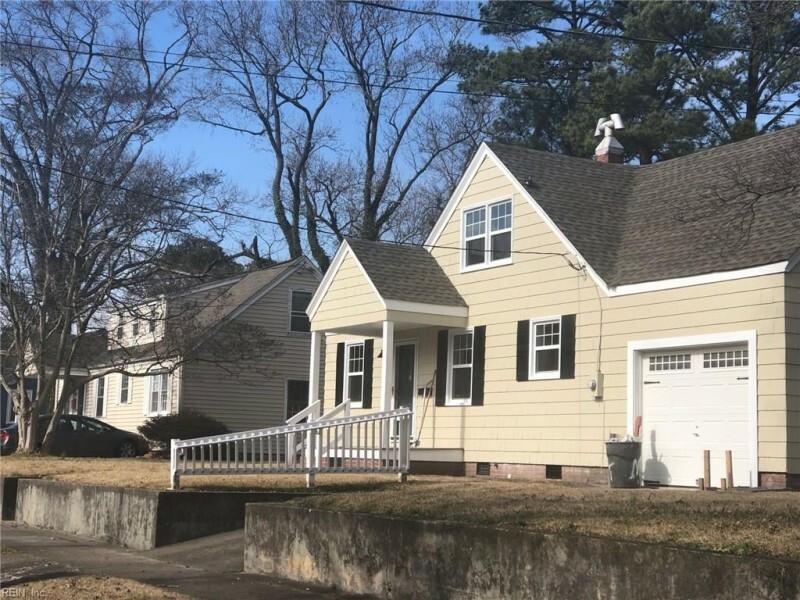 Send me more information about the listing at 160 Haven Drive, Norfolk, VA 23503, MLS# 10240090. This 4 bedroom, 2 bathroom home located at 160 Haven Drive, Norfolk, VA 23503 has approximately 1,176 square feet. It is currently listed for $191,500 and has a price per sqft of $16,284. This home is currently Sold under the MLS#: 10240090. This listing is provided by Mid-Atlantic Realty & Associates LLC. 160 Haven Drive Drive, Norfolk was built in 1950. It has Garage Att 1 Car, Driveway Spc parking.The kitchen includes Dishwasher, Microwave, Elec Range, Refrigerator. 160 Haven Drive is part of the Bayview Park neighborhood located in 23503.